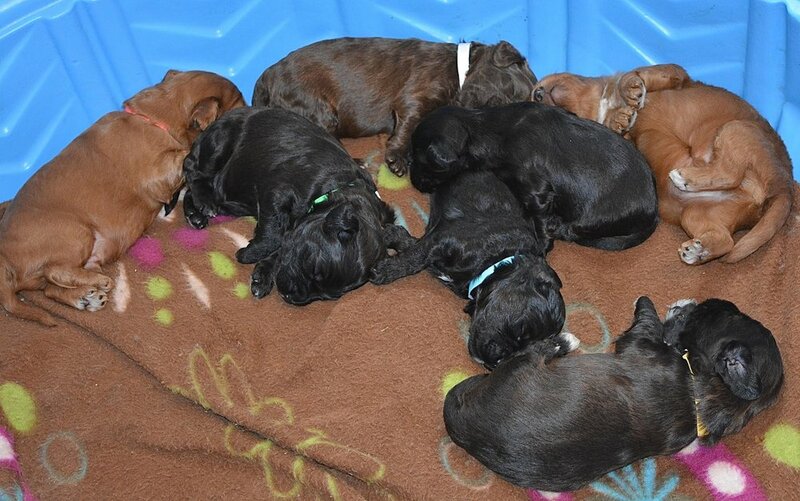 River's puppies are two weeks old! It's a two week milestone for these pudgy little River pups. The seven brothers are loving life and now that their eyes are open they are starting to waddle,..especially over any brother that is snoozing!! They are definitely 1st class charmers and we are in love!